A good quality, Victorian brass, pastry tool dating from c.1860. 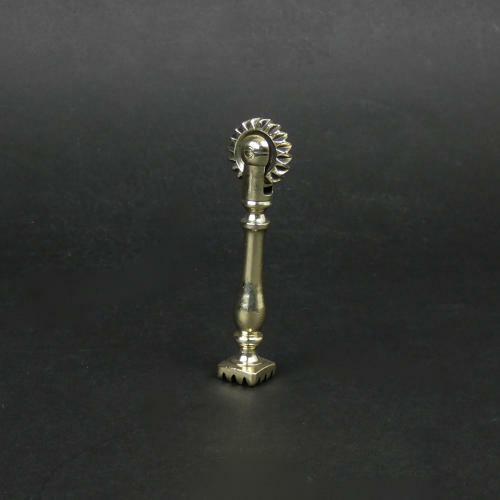 This piece is cast from brass and it is substantially made. It has a chunky brass wheel on the one end, for trimming the rim of a pie, and a square shaped tool on the other end, for impressing designs. It is in excellent condition.